As is expected at this time of the year, the last few weeks have been filled with festive get-togethers, exciting gift making and an endless array of baking, giving me very little time to tend to my lovely little blog. But in the last few days before Christmas, I’ve hoarded away a little bit of time to spend writing to you! And boy, is there a lot to write! So with Tony Bennett’s Christmas album crooning in the background, let’s get down to business! First, allow me to introduce to you my beautiful niece Amelia who was born on the 5th December. She came into the world in a very hurried fashioned that earned her and her parents a National News worthy story! Let’s just say, they didn’t quite make it to the hospital in time! Here’s the story if you want to know more! Yes indeed, I did make a quilt. And I did it in quite a sneaky type way too (you may have seen a few glimpses on Instagram!). Usually at Christmas, my close group of friends and I do a Kriss Kringle type of gift giving. So to sooth my need to make a quilt as a gift this Christmas season, I chose to make one for one of my closest girlfriends who I’ve known since high school. Thankfully she loved it! And even luckier, the colours went perfectly with a lot of the décor she has in her new inner-city apartment! Whoo! 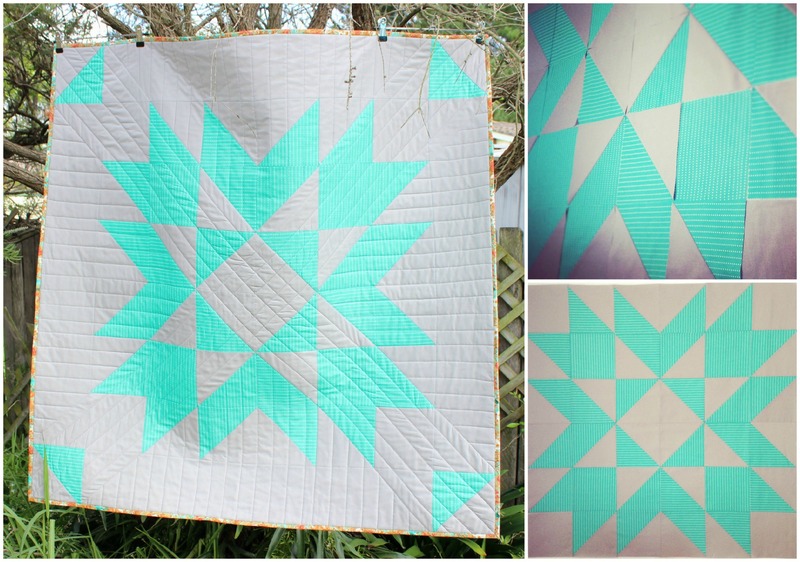 The pattern I used is called the Tribute Star Quilt that I found (as a FREE download!!) on the Denyse Schmidt website! It’s quite an easy pattern to follow, choc-full of HSTs and simple squares that would look great using any print or solid fabrics. Sometime in the New Year, I’m planning on giving the Tribute Star block another go using a few different type prints (maybe) and turning the block onto it’s point and adding corner triangles to the edges. From what I can see in my mind’s eye, I think it’ll be a little good ‘un! What’s also kept me busy over the past few weeks are the Christmas tutorials I’ve been filming, editing and publishing onto YouTube! I’ve been putting so much time and effort into these little videos to the point where I’m quite ready to take a much-needed break once Christmas and Boxing Day arrive! However, once Christmas is over, I’ll be getting straight back into it! 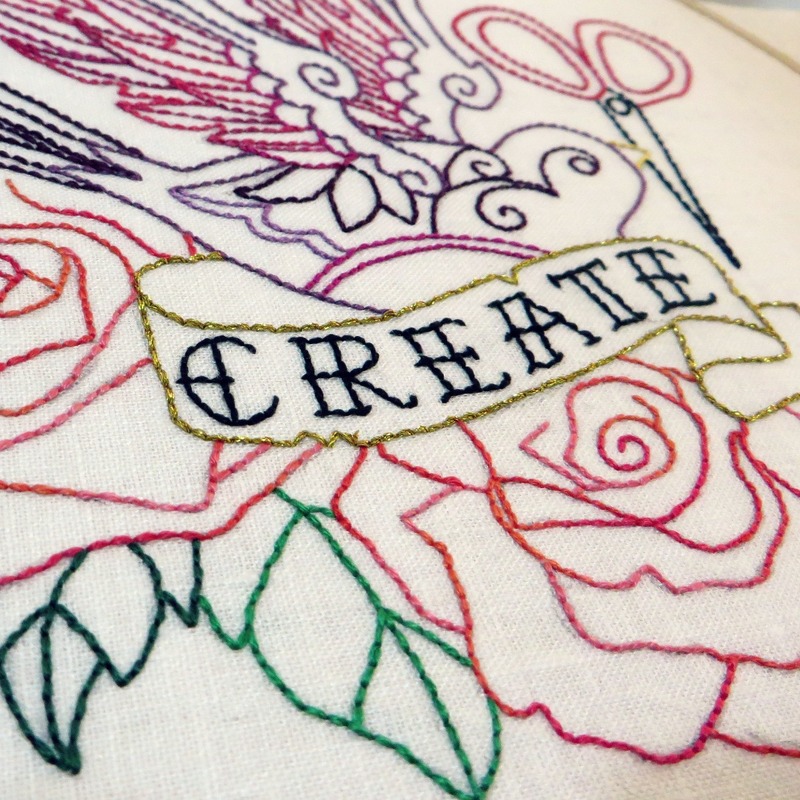 Before the month’s out, I’ll be publishing another Stop-Motion Embroidery video featuring this beautiful design from Urban Threads. And then in the New Year, I have a ton of new quilt block tutorials planned as well as some other fun crafty ideas for you to be inspired by! If you want to be in the loop of what, where and when I upload these video tutorials, check out my YouTube channel and subscribe to be the first notified! I would love to have you join me! So my friends, I wish you all a very happy festive season, celebrating and making beautiful memories with your nearest and dearest! I’ve found you site and youtube channel last year, I like them so much and your entries and videos helped me through some rough times. You are a wonderful person and it’s nice that you are sharing your creativity with the rest of the world. I’m honoured that my little videos and tutorials have helped you out through some tough times. I hope all is well. Aunt Amanda – Congratulations to you and the family! Exciting news. Thank you for the excellent Christmas Tree Paper Piecing Tutorial. I have tried paper piecing several times but your video really makes the “how to” clear. I shared it with my quilting sisters. It is the perfect project for this week. Ages ago I shared information about “you and your blog” at the quilt show my group put on at our church when explaining how the internet has expanded our world and my getting regular e-mails with tips and tutorials from Amanda in Australia. Thank you for sharing yourself and your talents! I, too, really enjoy your videos. You’re very good at explaining. Thanks for the awesome story about your niece. What a blessing that mother and baby are well. It’s really lovely to know that you’re enjoying my videos. Thank you for your support and encouragement! Indeed it is great that my niece and my sister-in-law are doing great after such an un-conventional way of entering the world! Amelia is a beautiful baby! I’m a very proud auntie! Hi Amanda and Merry Christmas. I loved your Christmas Tree Paper Pieced Tutorial. I’ve tried paper piecing before but your tutorial really gives a good picture of the easy and right way to do it. Can’t wait to do a few of those trees for a cute Christmas wall hanging. By the way – I did share “you” with my church ladies at the quilt show we held in October, telling them how amazing the world of technology is in that I have a quilting “friend” in Australia who regularly shares her projects, tutorials and life with me. THANK YOU. Hello! And Merry Christmas to you too! It’s my absolute pleasure to make and present my videos to you all. I’m so grateful for your support and lovely words of encouragement! Thank you! I can’t believe you made the brownies!! I’m so happy! Did you like them? They’re my kryptonite! Great Story on the birth of your niece! Glad all went well with that :-)! Thank you for all you do, and a very Merry Christmas to you and yours! Thanks very much!! I’m sure the story of how Amelia was born will be front and centre at her 21st! 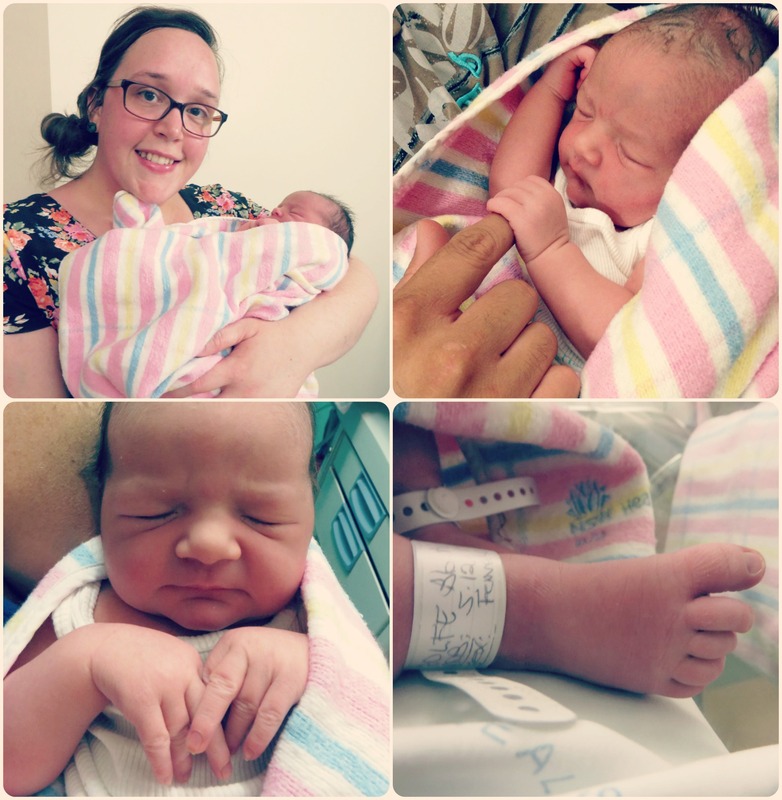 We’re glad too that both mum and bub came out well after the experience!